The Conway Chamber of Commerce serves as an avenue by which to promote your business and network with other local businessmen and women. We offer a number of services that can be utilized to save you time and money when it comes to growing your customer base. We are here to service you. If you have a business need or request that is not listed below, please feel free to give us a call. We welcome your input. How Can The Conway Chamber of Commerce Help Your Business? membership and encourage the display of brochures, business cards, menus, etc. Advertising space is also available on the Conway Chamber website and weekly email campaigns. We coordinate grand openings, ribbon cuttings and groundbreakings for you. We notify the media, local dignitaries, as well as our entire membership on your behalf. The Chamber houses vital reference materials and statistical data that are accessible to our entire membership at no charge. We serve as a cooperative office of the U.S. Department of Commerce, city directory library, small business resource center, and we have on-hand area maps. All of our members are provided with a free business listing on our Chamber web site, www.conwayscchamber.com, as well as a complimentary member link. 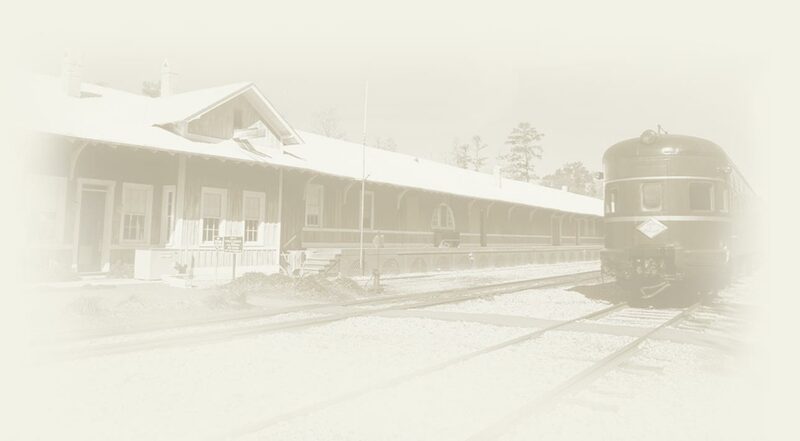 Accommodation and dining members are listed in our Accommodations and Dining Guides, which are distributed to our Chamber’s visitors, as well as visitors to Coastal Carolina University, Horry-Georgetown Technical College, the Horry County Museum and Conway’s Theatre of the Republic. We work to keep our guests apprised of Conway’s unique dining venues and overnight facilities. We partner also each year with Waccamaw Publishing to develop our Information Please guides, a newcomers guide that serves as our membership directory. Members are provided with a complimentary categorical listing and are encouraged to advertise in this publication, as it is distributed to over 30,000 visitors to our area on an annual basis. It is also distributed throughout our membership, so advertisements automatically market to over 17,000 Conway residents and local business owners. For your convenience, the Chamber offers Notary Public services at no charge, an estimated $20 value. All members receive invitations to a year of Business After Hours membership mixers. This setting provides the opportunity to connect with potential customers, vendors, and referral sources. Our members are also offered the opportunity to sponsor Business After Hours to showcase their business location, products and/or services. We offer membership breakfasts whereas we bring in speakers to discuss topics that impact our entire membership. Most breakfasts are sponsored, so all chamber members are encouraged to attend and walk away with valuable information from fellow members at no charge. For a minimal fee, we will set up our Chamber member mailing list on disc or in label format for your use. This database targets over 11,000 business people and their employees. The Chamber coordinates, manages and promotes a number of annual community festivals, programs and parades, which provide our members with opportunities to give back to the Conway community. We currently sponsor Riverfest, the Conway Christmas Parade, Youth Leadership, Leadership Conway, and Salute To Education. Members of the Chamber are encouraged to take part in our Member-To-Member discount program. Please notify the Chamber office if you’d like to extend a special offer to your fellow Chamber members. We coordinate quarterly New Member Receptions so that new Chamber members can be familiarized with the Chamber office, staff and the services they provide. Our Ambassadors Program offers our Chamber members an opportunity to meet new business contacts while promoting the image of the Conway Chamber and encouraging members to take advantage of Chamber benefits and services to promote their business. Through a partnership with SCORE, America’s Small Business Counselors, the Conway Chamber offers business mentoring sessions twice per month. Contact Score’s Grand Strand office at 843-918-1079 to schedule a confidential appointment. All Chamber members have access to our Executive Conference Room with a drop down screen in our beautiful building and our small conference room. We offer our conference rooms free of charge once per month with membership. To view a copy of our meeting procedures, click here. All members are encouraged to develop leads and build relationships while serving on our Chamber’s committees. Committees offer you the opportunity to network in a smaller setting while improving the overall business climate of Conway. As a Chamber member, you are entitled to discounted medical insurance through our partnership with Blue Cross Blue Shield of South Carolina. As a Chamber member, your business is listed in our database, which means increased referrals for you. Deduct 90% of your Chamber investment as an ordinary business expense.